PCC – Police clearance certificate is asked by immigration authority to determine whether you are of good character. Immigration authority can ask for police certificates for each country you have lived in for 12 months or more over the last ten (10) years since turning 16. PCC is issued based on the character records of the person. If you have received PCC for company or organization purpose, it wouldn’t be a problem to receive the same for immigration. A person will not pass the character test where: •	If you have a substantial criminal record •	If you have been convicted of any offence that was committed while in immigration detention, during an escape from immigration detention, during a period where a person escaped from immigration detention, or if the person has been convicted of the offence of escaping from immigration detention •	If you have or had an association with an individual, group or organisation suspected of having been, or being, involved in criminal conduct •	If on review of past and present criminal conduct, the person is found not to be of good character •	If on assessment of past and present general conduct, the person is found to be not of good character •	If the Immigration authority find that the person can be a significant risk to country’s safety and may engage in criminal conduct in Country, harass, molest, intimidate or in stalking etc. When should I start the application process? You should start researching the University / Colleges you want to apply to approximately one year in advance. It will take you this long to go through the complete application process which includes - identifying which institution best suits your needs and in turn if you fit into their applicant criteria, apply to the University, wait for a response from them & visa application process. When is the main intake? For Universities, the primary intake is in September / Fall Session, although very few do allow for a January / Winter Session intake. For Colleges, there are usually 3 intakes in a year: September; January; May. Is there an application fee for the institutions in Canada? Yes, most universities and colleges have an application fee that can vary from CDN$30 - $250. These fees must be submitted in the form of a Canadian Dollar draft or paid via a credit card along with the application. Do I need to appear for an English Fluency Test? What is the Cost of Studying in Canada? The tuition level and living costs vary with universities and cities. Generally, the international students require between CDN $15,000 and CDN $26,000, depending on their school and program. What are the housing options available? Canada provides a lot of merit based and institution based scholarship programs. Students who excel in their studies are awarded with these scholarships irrespective of their physical or financial conditions. Other criteria for the selection of students are based on their participation in extracurricular activities and outstanding athletic abilities. Academic scholarships, Athletic scholarships and scholarships for overseas or foreign students are the different types of scholarships offered in Canada. Can I work while I am studying? Canada provides work permit to students which allow them to work off campus. The work permit, however, restricts the working hours to 20 hours a week during academic sessions. During extended vacations no restrictions are given. Where would be my case filed? Will it be at the Indian CHC office? Initial Application will be lodged at Nova Scotia, Canada. Once the file no is received, application along with the supportive documents are sent to New Delhi, High commission for further processing and decision making. However, there could be changes with the proposed process which will be clarified accordingly. Yes, Police Clearance certificate (PCC) is required for all the applicants including the dependents from the country where one lived for more than a year. If I have PR visa of Canada would I and my children be eligible for free education? Yes, every child in Canada receives Free Education and this is applicable to immigrants too. It starts at the age of 4 or 5 and continues till the age of 15 or 16 i.e., until they complete their secondary school. Can US Citizens work and live in Canada without a Visa? Can Canadian Citizens work and live in USA without a Visa? The North American Free Trade Agreement (NAFTA) created special economic and trade relationships for the United States, Canada and Mexico. The TN nonimmigrant classification permits qualified Canadian and Mexican citizens to seek temporary entry into the United States to engage in business activities at a professional level. Among the types of professionals who are eligible to seek admission as TN nonimmigrants are accountants, engineers, lawyers, pharmacists, scientists, and teachers. You may be eligible for TN nonimmigrant status, if: •	You are a citizen of Canada or Mexico; •	Your profession qualifies under the regulations; •	The position in the United States requires a NAFTA professional; •	You have a prearranged full-time or part-time job with a U.S. employer (but not self-employment - see documentation required below); and •	You have the qualifications to practice in the profession in question. Eligibility Criteria Unlike Mexican citizens, Canadian citizens are generally eligible for admission as nonimmigrants without a visa. The TN category, a nonimmigrant classification, simply reflects this general exemption from the visa requirement. NAFTA governs which evidence is required to prove whether a Canadian or Mexican citizen is a professional in a qualifying profession. Canadian Citizens If you are a Canadian citizen, then you are not required to apply for a TN visa at a U.S. consulate. You may establish eligibility for TN classification at the time you seek admission to the United States by presenting required documentation to a U.S. Customs and Border Protection (CBP) officer at certain CBP-designated U.S. ports of entry or at a designated pre-clearance/pre-flight inspection station. Can a Person with Canadian PR go and work in US? No. If you want to work in the US, get a visa for the US. Canadian PR will not help except as a backup in case the work visa in the US is not renewed, moving to Canada could be a better option to him rather than going home. Still, using Canadian PR as a backup is also dependent on not being away from Canada too long because then he will lose the PR he'd already have waited for and paid money to get. As for getting Canadian citizenship, that's at least a 4 year process after getting PR so it's a question if he's ready to do that just for the right to be able to get a NAFTA visa to the US if his profession qualifies him for that. ICCRC (The Immigration Consultants of Canada Regulatory Council) is a non-profit organization appointed by the Government of Canada to regulate the immigration consulting profession and safeguard consumer interests. `If I receive PR and Citizenship of Canada; Do I need to leave Indian citizenship? Kindly let me know what rights I will not get once I leave Indian citizenship. Is there any chance that the medical's will affect the status of issuing the visa due to High Blood Pressure or Diabetics? IF the Spouse is pregnant, can she undergo a Medical test? For the safety of the baby inside, X-rays are not allowed for pregnant women applicants until the delivery. After the birth, mother and infant will undergo medical examinations. Does a new born child or children below 5 years need to get medicals? Yes, they need to get medicals test done. Recently, I had gone through medical examinations for temporary resident visa or work permit or study permit. Is there any other additional medical exams that are to be clear for Permanent Resident application to Canada? Yes, it is necessary to have certain additional medical examination. Can I break the funds after receiving the visa? Yes, you can break the funds after receiving the visa, but you need to carry the required funds by the time you are leaving to Canada, as the immigration officer will ask you for the same at the board of entry. Would I be recognized as a Permanent Resident of Canada once I get my Canada Immigration Visa? No. To be a permanent resident of Canada, you need to cross a Canadian port of entry along with your valid Canada Immigration (Permanent Resident) Visa and your valid passport . When should I move to Canada after receiving the visa? Initial Port of entry has to be made as stated in the Visa grant letter. If planning to get married after submitting the application, should a person get married before the visa is issued? Dependent applicants can be included before the visa decision outcome is known and any points of time during the processing. It is always beneficial to attend for medical examinations at same time and attach both yours and spouse medical forms to same visa application. This is necessary because the validity of these is for one year. If you get married after the issue of visa, then you have to sponsor your spouse. Is there any chance to extend the expiry date on my Canada Immigration Visa? No, the expiry date on the Canada Immigration Visa will not be extended by the immigration authorities of Canada. If you fail in landing, in Canada, before the date of expiry then you should file reapplication. What are the documents required to carry, when landing in Canada? Yours and accompanying family members Valid Passports all old & New, unexpired Canada Immigration Visa and PR Confirmation letter issued from CHC. Your accompanying dependents, if applicable, will need the same. It is also advisable to carry the evidence of your settlement funds, all the original Education & Experience documents required. What is the period of gap should I maintain to accompany my dependents to land in Canada? They can land along with the main applicant or after the landing of principal applicant; but in either case, they should land before the date of expiry printed on the Canada Immigration Visas. When can I start working in Canada? Social Insurance Number (SIN) is compulsory to initiate working procedure for non-Canadian nationals in Canada. Immediately after your arrival you need to apply for your SIN card. When can I completely become a Citizen of Canada? Before applying citizenship of Canada, it is compulsory to stay in Canada for a period of 1,095 days, or 3 years. How about the children education in Canada? Children between the ages of 4 and 16 to 18 years, depending on province, need to attend school. The school year runs from September through June. Registration can be done as early in February previous to the September academic year. All the provinces of Canada possess separate school boards. The applicant should contact the concerning school board located near their stay for further details to join their ward. Should only the Primary applicant need to work in Canada after receiving PR? Who can sponsor a family? Any eligible relative can sponsor a family visa; provided the sponsor has valid Canadian PR Status or a citizenship of Canada. Am I eligible to attain CSQ, if I won't speak French language? The selection of an applicant is performed through accessing the performance on points scale system. If the applicant reached the basic points then oral French language is not compulsory, and you may still be granted the CSQ, but if falling short in points then need to get French language certificate as per the requirement, it is advisable to learn French as Quebec is a French country. Whom should I include on my CSQ APPLICATION? There is a possibility to include your married partner or civil partner on the CSQ application, as well as children aged 22 or younger can also be included as dependents. Is there any chance to possess a dual citizenship? It is possible to possess a dual citizenship if the parent country, accepts it then Canada government accepts the dual citizenship of the applicant. Do I need to attend the Interview for FSW? FSW Visa application can be through courier , however someone may be called for an Interview and It depends on the immigration officer and is case specific. I am over 60 years of age, and I want to visit Canada for the first time, Should I schedule an appointment ? Yes, of course, irrespective of the age everyone should schedule an appointment with the embassy for Visiting visa processing as drop-box facility permitted by the concerning authorities. What is Canada immigration visa exactly? A Canada Immigration Visa is a form of permanent residency that helps a foreign individual to live or work at any place of Canada. The Canadian government issues this visa through evaluating certain responsibilities accomplished by the applicant and the holder can also be revoked, if he or she does not meet the Canadian Residency Obligations or found to be involved in a criminal or illegal activity. What are the various types of visas available under Canadian immigration process? There are various types of visas depending on the need and purpose of stay in Canada under Canada immigration process namely Work permits , Skilled Visa, Business Visa, Investor and Entrepreneur Visa , Family visa etc. What are the documents to be submitted for a visitor visa to the Canadian embassy? The principle documents to be submitted at the time of interview for a visitor visa is a Valid Passport, Travel, health and identity documents of the applicant’s, Financial or monetary documents of applicants for the trip, a valid letter from the employer granting leave for the visit. What is the difference between Work Permit visa and Canada immigration visa? The main difference is a work permit visa is a temporary visa whereas Canada immigration visa is a permanent resident visa. The individuals availing work permit visa can work in Canada for a period and are abound to certain regulations of the government. The individuals bearing Canada immigration visa can live anywhere in Canada of their choice and enjoy a set of privileges provided by the government of Canada. In what way the changed Canada immigration policies affect the status of my visa application ? The rules and regulations of Canada immigration bound to change. 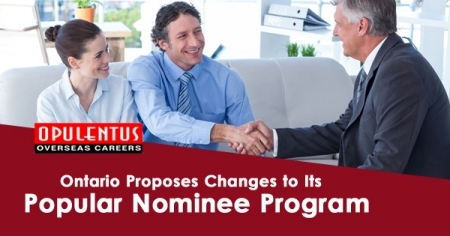 These changes certainly effect the individual depending upon their application requirement. The changes will not affect the applicants whose application are already launched. Is there any variation in the immigration process for various provinces in Canada? Yes, there is a small variation in the process of immigration, in the provinces of Canada in relation with the Canada process, mainly this variation observed in Quebec province where the candidates applying for Quebec visa then they should meet the eligibility criteria of the Quebec immigration authorities. What are additional fees associated with the Canada immigration process in addition with immigration fee. In addition to application fee, the applicant may expect to pay fees related to the medical examinations and translation of documents to French to English if necessary. When should be the other documents should be submitted to the Canadian embassy? The time gap required to submit the documentation for the Canada immigration varies depending upon the applicant visa specification. 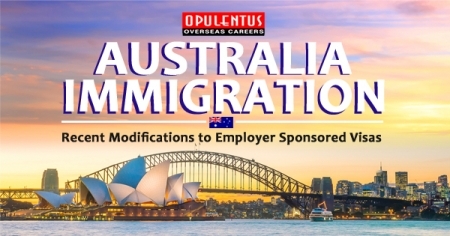 For Skilled Worker category, the applicant should submit all the required documents along with the immigration application. In Family Sponsorship Visa category, all the documents along with police and medical clearance certificates should be submitted with the initial application form at the Case Support Centre. Under Self employed and Entrepreneur category the applicants should submit an initial application with fee to the Canadian Visa Office responsible in concerning country. Before four months of the assessment initiation, the individuals should submit the specified documents to the embassy. Under Investor, Provincial Nomination Program and Canadian Experience Class visa categories, the applicant should submit all the documents along with the initial application. In what language does the documents need to be submitted to the immigration authority? The concerning Canadian immigration authority specifies all documents in English or French language only. How much time does Canadian immigration authority take to process the application? As per CIC, the time for an application processing for permanent residence varies from between 6 months and 10 months, in some case it may also exceed the time. It depends on the immigration Officer. There are many factors that influence the processing time of the application such as immigration office where the application is submitted, category of visa, supporting documents, verification, assessing the need for a personal interview, evaluating the demographics of the applicants. All these factors influence the processing time of the application. If, all documents are submitted as per requirement, then it takes less time to process an application. Can I apply for Permanent Resident status and Temporary status at the same time? Canadian Immigration policy recognizes the concept of dual intent. Who qualifies for a Canada Immigration Visa? Canada Immigration PR visas may be issued to qualified skilled workers, provincial nominees, and business persons under Canada economic immigration categories. Close family members of Canadian citizens and permanent residents may be issued Canada immigration Visa through family sponsorship. Who can I include in my application for Canada Immigration Visa? Your Spouse/Common law partner / conjugal partner and any dependent children must be included in the application. What is a Quebec Selection Certificate? A Quebec Selection Certificate allows you to immigrate to, and settle in Quebec. If your intended destination in Canada is within the province of Quebec, you must obtain a CSQ before you obtain a PR Visa. How is immigrating to Quebec different than immigrating to the rest of Canada? Quebec is responsible for selecting immigrants to settle within province. You receive your PR Visa after being approved at federal level. If I don't speak French, can I still obtain a CSQ? Possibly, the selection is done on points based assessment. If you meet the minimum points requirement without speaking French you may still be granted the CSQ. What is a Provincial Nomination Program? 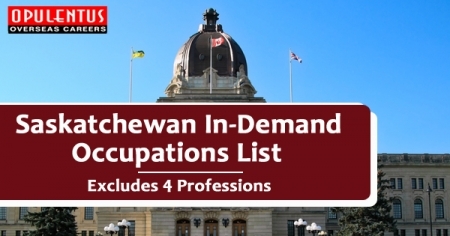 The Provincial Nomination Program was established by CIC to allow Canada’s different provinces and territories to select individuals who indicate an interest in settling in a particular province/territory and who will be able to continue to that province economic development.